Carbon fiber tri-axial fabric 200x200 mm². EC – scan (above) contain various information which can be separated into the individual layers. 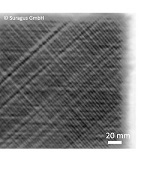 Uniformity mapping is relevant for random structured carbon based materials. 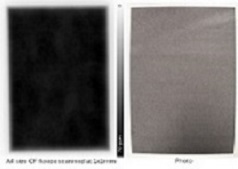 Here, accumulation of carbon fibers are shown darker. The EC-scan (above figure) shows small inhomogenities at the carbon fleece. A carbon fiber SMC is depicted (bottom figure). 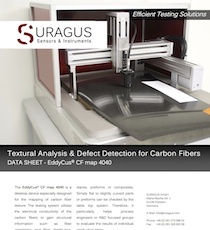 EddyCus® map 4040 is a desktop system that maps carbon fiber textiles and composites regarding defects in the inner layers. 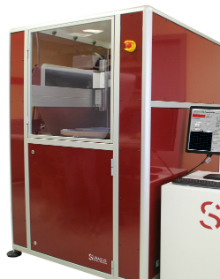 It suits the needs of R&D labs at universities or companies. Flat and slightly curved specimen can be investigated up to an area of 400x400 mm². 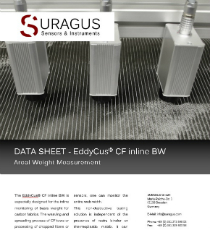 EddyCus® map 6060 is an industrial testing stand designed for quick offline test at critical locations (ROI) of parts or preforms. 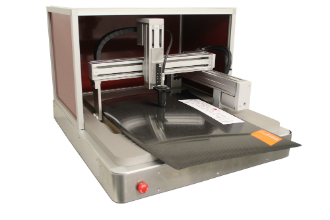 It conducts high resolution scans for quality control of carbon fiber materials. 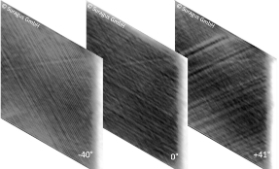 Particularly, small to medium-sized parts of less-complex shape may be analyzed for defects in the carbon fiber texture.